As previously reported by me there continues to be controversy about the idea that those of us who have NOT had a heart attack or stroke should be taking a daily aspirin to prevent one. 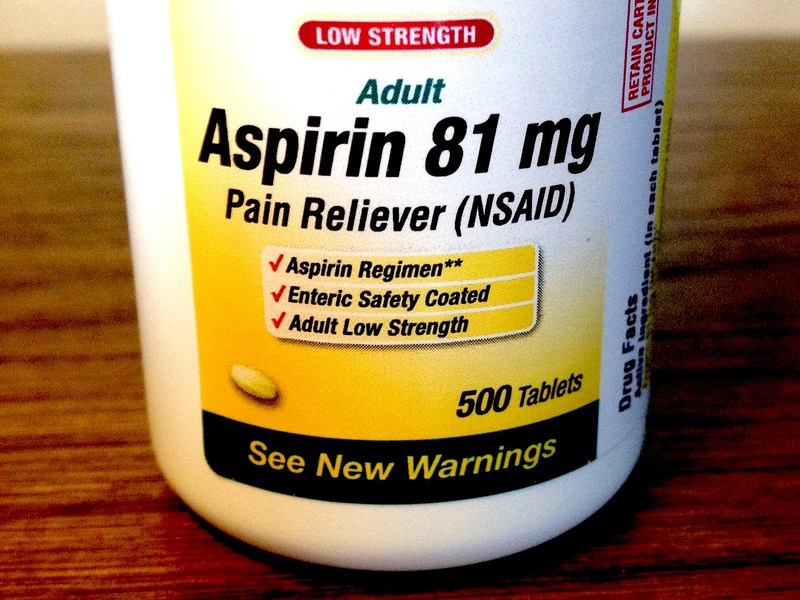 Bayer recently submitted an application to the FDA to receive permission to promote daily aspirin for this purpose. Many people take a baby aspirin daily because they have heard it is a good thing to do and believe that since it is non prescription must be safe. Many cardiologists recommend daily aspirin to people who have not had a heart attack. Their reasoning is that since aspirin has been shown to benefit people who have had heart attacks or strokes why not give it to healthy people so they don’t develop heart disease or stroke? Similarly since diabetics have a higher risk of heart disease and stroke, endocrinologists often promote daily aspirin to their diabetic patients for the same reasons. The problem remains, however, that there are no definitive studies that show this to be true. And unfortunately aspirin, though not a prescription drug, can have two very serious side effects. First, it can cause a bleeding ulcer without any warning, which can land people in the hospital with life threatening internal bleeding. Secondly, if a person does get a stroke, those on aspirin are more likely to have a more severe form of stroke known as a hemorrhagic stroke than people not taking aspirin. In fact in 5 studies reviewed by the FDA, 4 studies actually showed an increase in fatal strokes among those taking daily aspirin. Based on its review the FDA denied Bayer’s request to allow it to promote daily aspirin use for the prevention of heart attack and stroke in those who have never had a heart attack or stroke. For most people the small benefits, if they exist, are probably outweighed by the small but real and potentially serious risks. 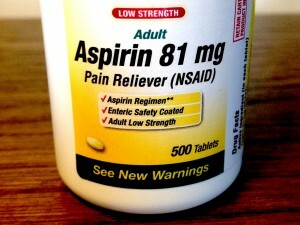 Nonetheless, there may be a smaller number of patients who are at particularly higher risk for these events and for whom the benefits from daily aspirin outweigh the risks. The challenge is how to identify who those people might be. In future posts we will examine some emerging technologies that propose to do so. I recently had a gastrointestinal bleeding episode from being on aspirin that landed me in the hospital for a few days. Fortunately, the bleeding stopped by itself. I had been taking 81 mg enteric-coated baby aspirin every day for years to try to forestall a heart attack or stroke, which, fortunately, I had never had. Dr. Taubman said to me: “You and aspirin are through”. I have permanently discontinued aspirin.